The splendid Sugarloaf Mountain is one of the symbols of Rio. We climb to the top with a fun cable car ride and admire the breathtaking views that open up in front of us. 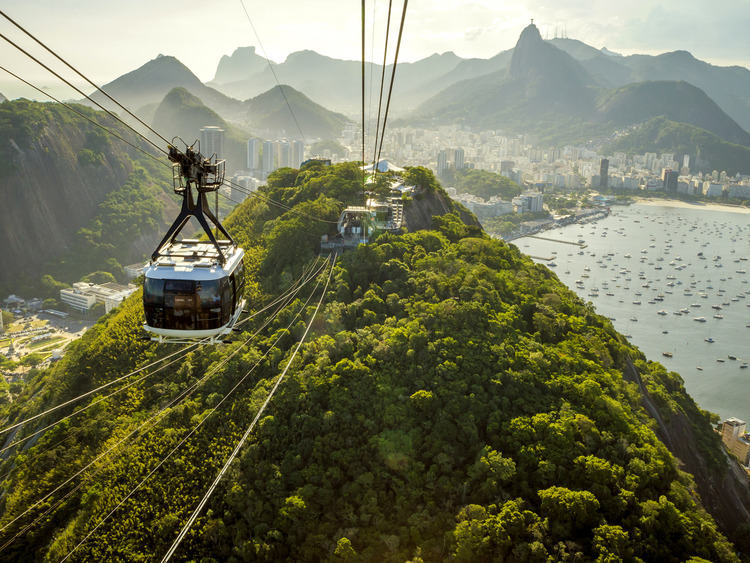 A funicular cable ride takes us up to the Sugarloaf Mountain, the most famous in Rio de Janeiro and maybe among the most famous in the world for its beauty and the spectacular view that can be enjoyed from the top. After admiring the breathtaking views, there is yet more to see. We head back to the coach and continue towards Copacabana before returning to the ship. When busy, cable car waiting times may be longer.